Basically there are two big slab foundation repair issues that cause concern. Foundation cracks and other problems on require attention, At HD Foundations, we service slab foundations on a regular basis. Just as importantly, we are experts who can effectively stop foundation repair issues, no matter how large they are. For more information, contact HD Foundations. We’ll be happy to stop by and evaluate your concrete slab, address your concerns and provide you with no-cost repair estimates. To learn more, call us today. 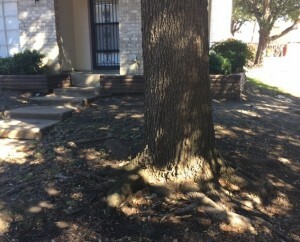 What Are Two Slab Foundation Repair Issues In Arlington, Fort Worth and Dallas, TX? The biggest problems are slab cracks and settlement. If you have concerns about these matters, contact a contractor right away. Slab foundation cracks are one of two issues that require immediate foundation repair service. That’s because cracks in concrete slabs cause extensive foundation damage by allowing moisture to seep inside your foundation. This causes deterioration and leads to significant foundation movement. If you see gaps in your concrete foundation or notice splintering in your slab, contact a foundation repair contractor right away. If you have your foundation fixed before issues escalate, you’ll save considerable time, trouble and money. Will Foundation Repair Stop Slab Foundation Cracks? Yes, it will. And it also solves the other issue which is foundation settlement. While it may not be the biggest one of the two slab foundation repair issues, it’s no small concern to Fort Worth, Arlington and Dallas homeowners. Fact is, foundation cracks require service.. If you don’t have repairs made, your concrete slab foundation will continue to settle into the ground. Your foundation must be lifted in order to make it level once again. Settlement issues occur frequently in the DFW area and are largely the result of severe weather and soil movement. If you’re concerned about these matters, you’ll want to have your foundation fixed by a professional contractor who can eliminate your concerns. Before you have foundation service on your slab, you’ll need to find out what it costs. Prices vary, but huge slab issues typically cost more to repair than sizeable pier and beam problems. To get more information on fees, you may want to study what slab foundation repair costs. You’ll find that most foundation problems cost anywhere from $2,500-$5,000 to fix. Of course, if your slab foundation cracks or settling issues are really big, either one of the two things could cost more to repair. To get free slab foundation repair estimates, contact HD Foundations online today. We’ll be happy to inspect your foundation.